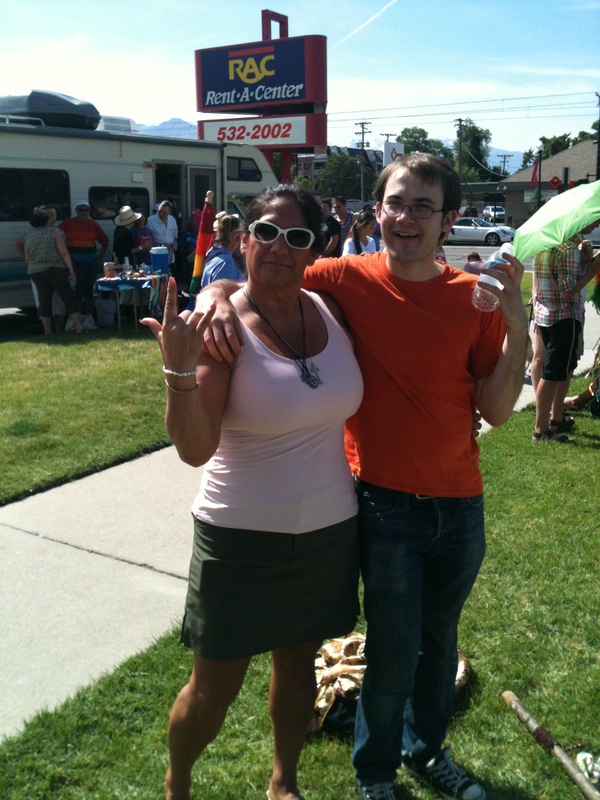 Thanks to all who attend and helped at the booth at this year’s Utah Pride Festival. We had an eventful weekend on Saturday and Sunday June 2-3, 2012 in downtown SLC, which included the interfaith service, interfaith march, Sunday’s parade and free tarot readings at the booth! We had so many people wanting readings that we had to turn folks away when the gates closed. Wait time was over an hour! But we feel grateful being able to help and bring solace, validation and guidance to those seeking answers. Those of us that marched in the parade could feel the wealth of gratitude washing over us as we were cheered on and thanked for being the only Pagan representation at the parade and festival! 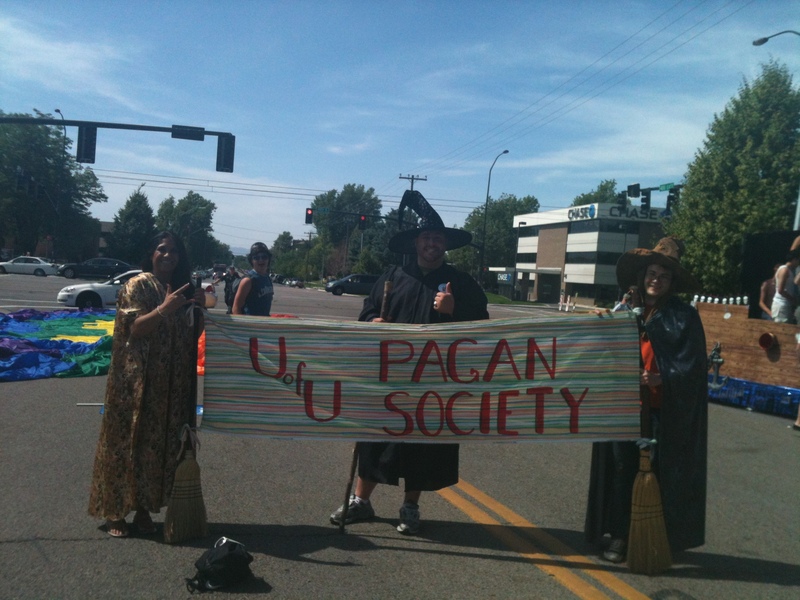 We even had pagans from Logan join us in the middle of the march! All in all it was a success and UUPS can’t wait for next year! Check out the photos below!